Compound engine with Stephenson's link-motion. 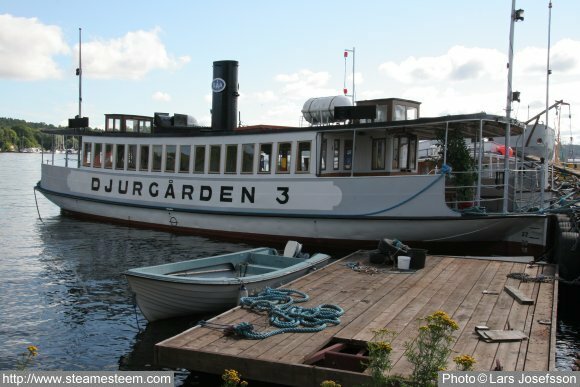 The ferry steamship Djurgården 3 has sailed between Stockholm's inner harbor and Djurgården. She was part of the city's public transport network. Yes, the steamship ferry has been replaced by a diesel engine ferry.